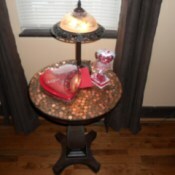 Love to exchange tips, going Green & reusing old stuff! Home Safety TipsWith the sad economy and people losing their homes, jobs, cars, etc., we need to rethink our own home safety. Here are some tips for home safety that I have researched and compiled and feel this will be helpful to most. 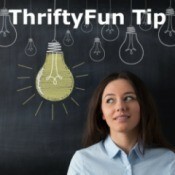 Thrifty Food Tips For 1-2 PeopleI, like a lot of people, have lots of food leftovers, usually they go to waste. I have noted a few ideas I will share that I have found useful!